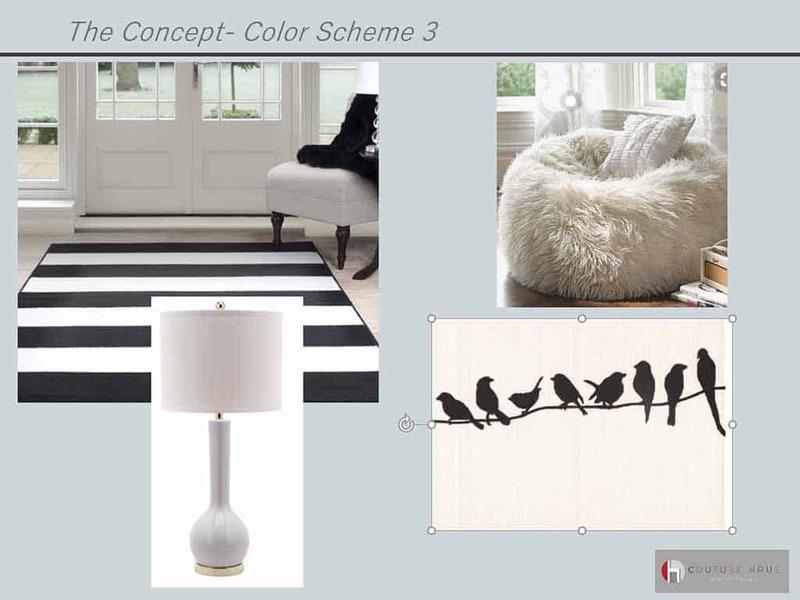 Couture Haus was contacted by this client to decorate a modern room for a teenager. 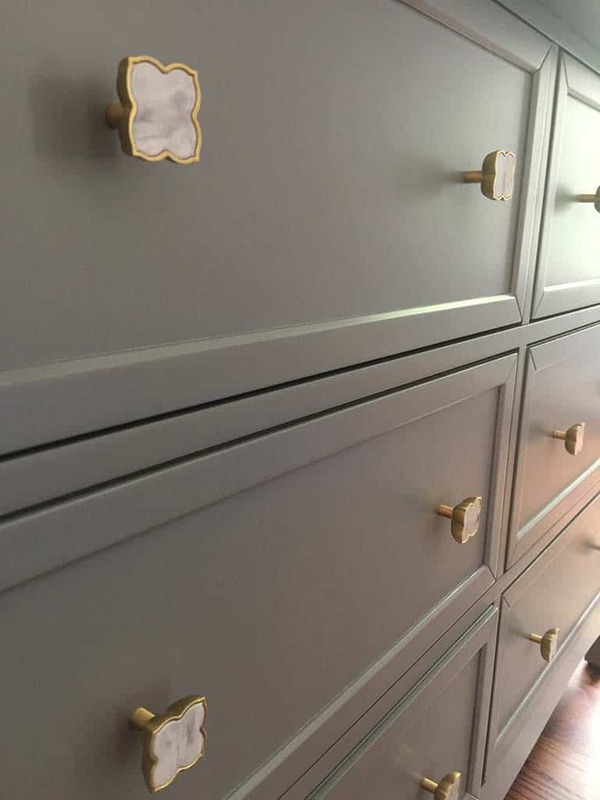 We started with a blank canvas as the family was moving to a new house. 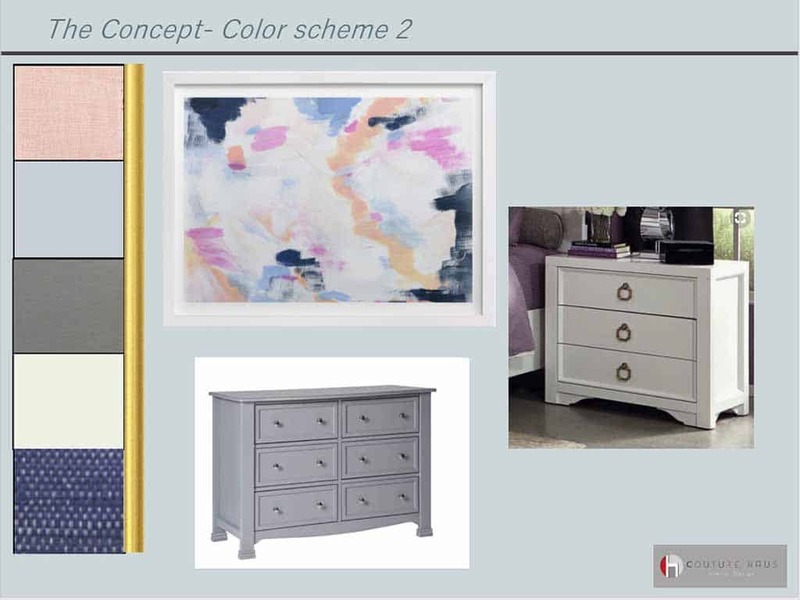 For us, this meant working on an exciting new project where we got to work on concept boards, color palettes, furniture selection, selection of finishes, art and accessories and implement the whole plan! 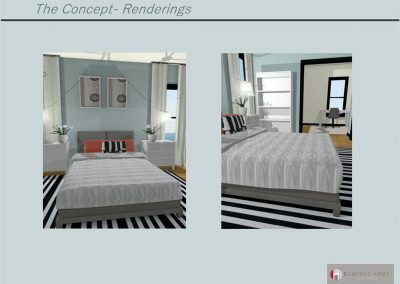 Client’s Vision: Modern, minimalist space. 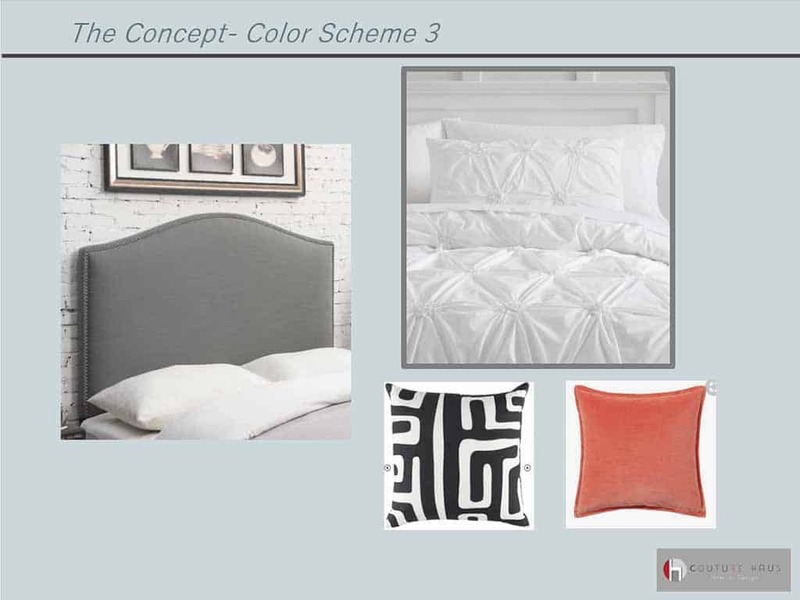 Monochromatic for the most part but with restrained splashes of color. 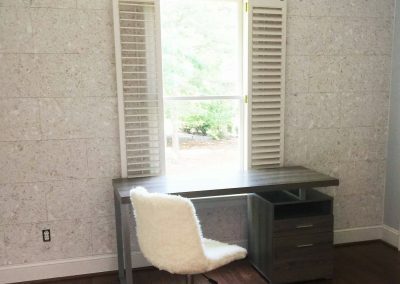 The space also had to include a study area with a desk and a functional pinning surface. 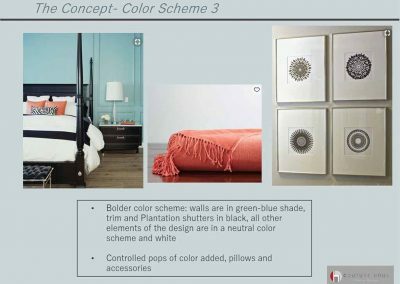 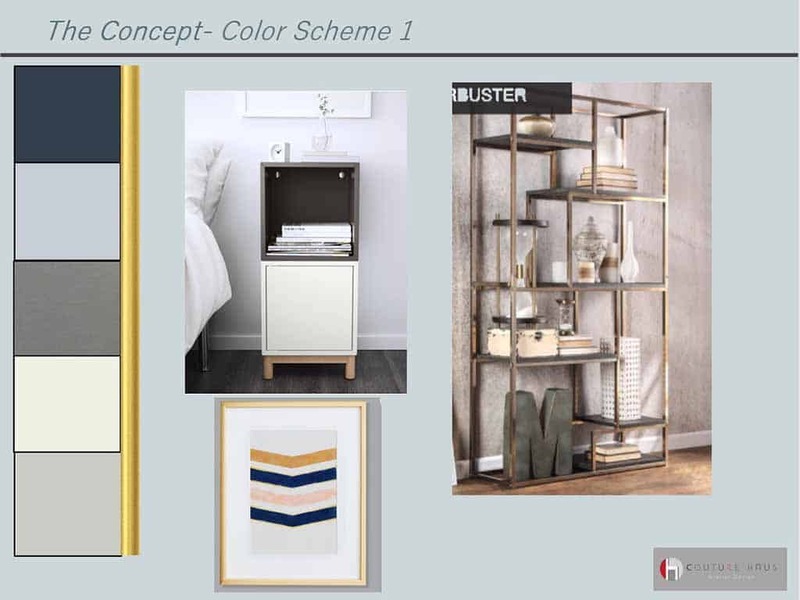 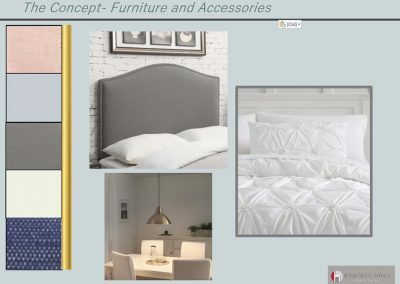 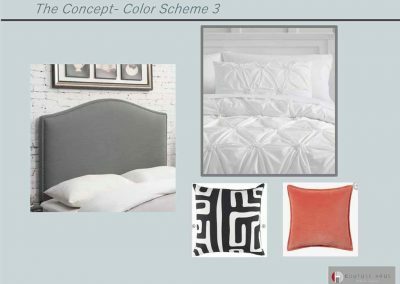 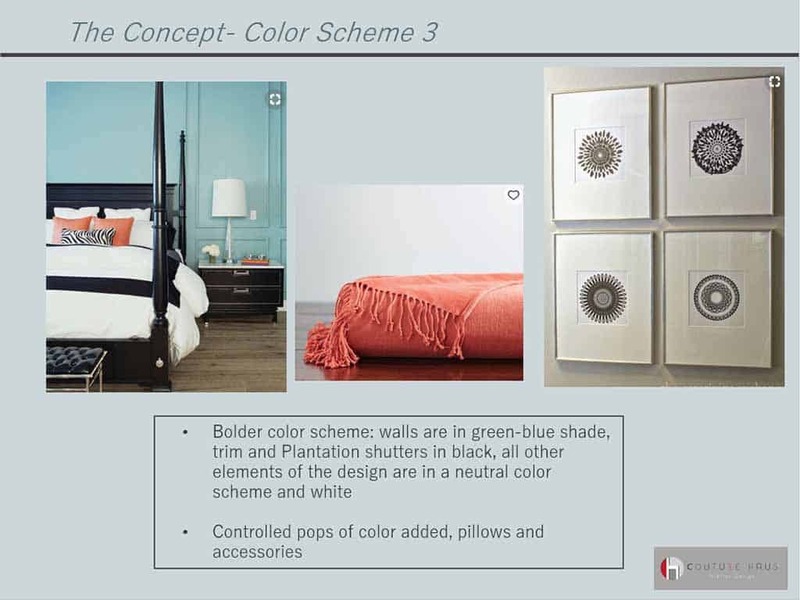 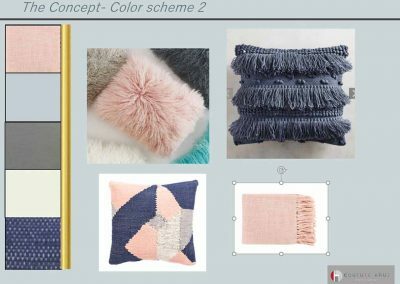 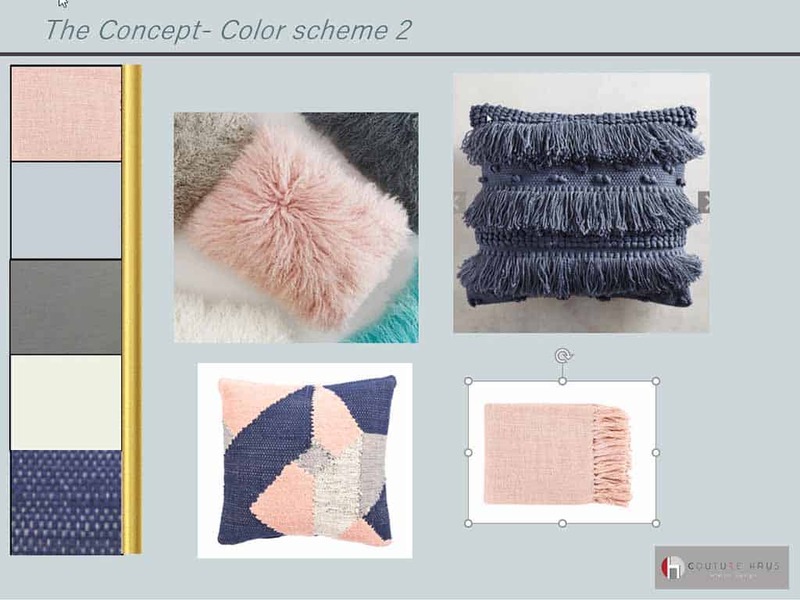 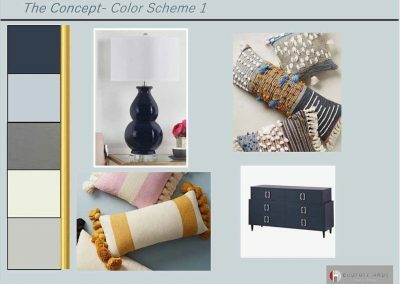 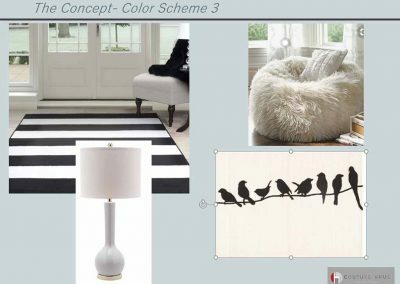 The process: We started by creating concept boards for our project; we knew that our client wanted a neutral color scheme in different shades of grey and white. 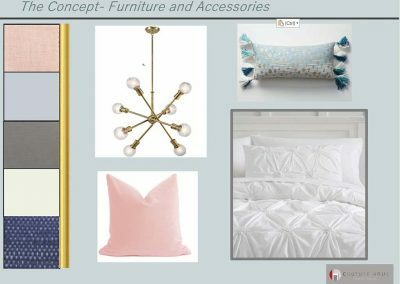 We aimed to keep the design modern, clean, and minimalist but strived to create a visually compelling space by adding texture, pops of color via pillows, accessories, art, furniture and lighting. 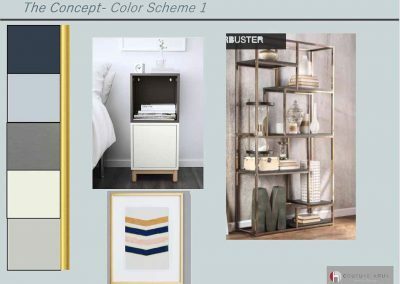 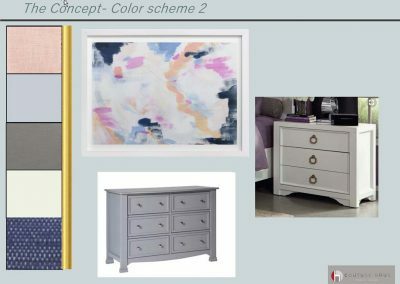 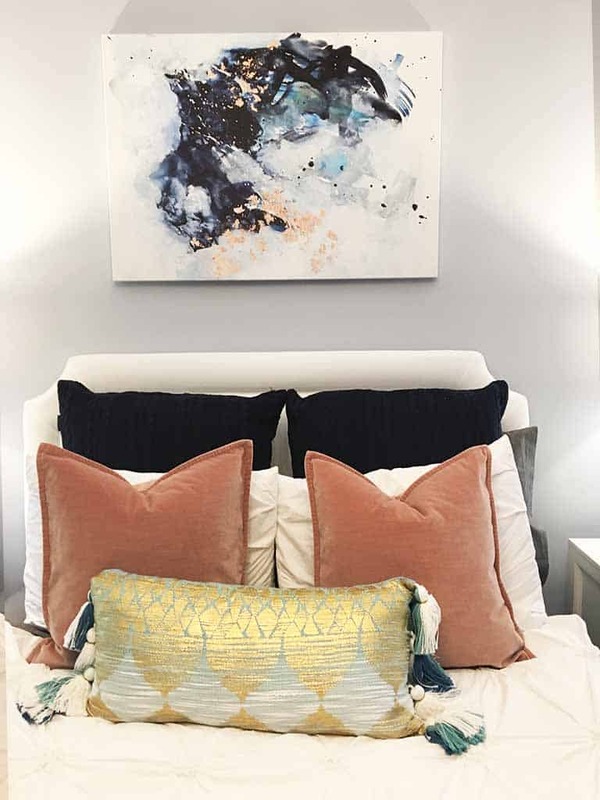 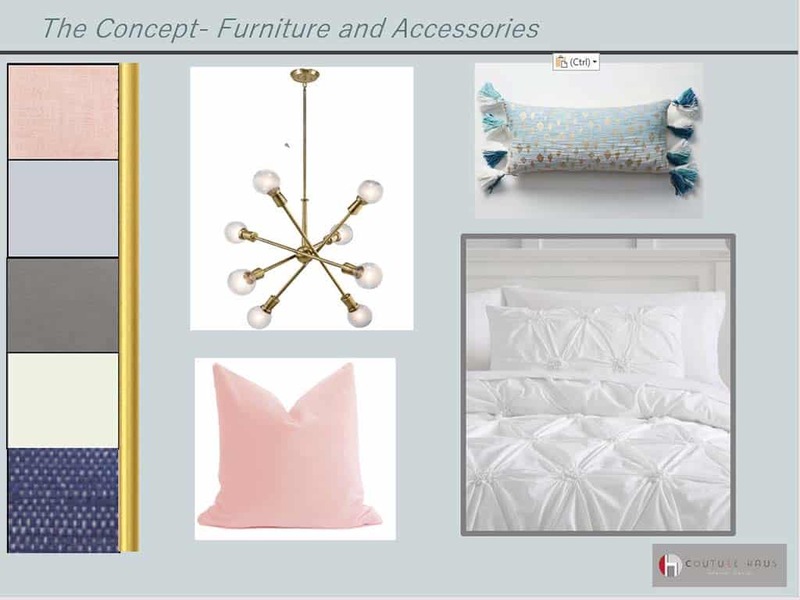 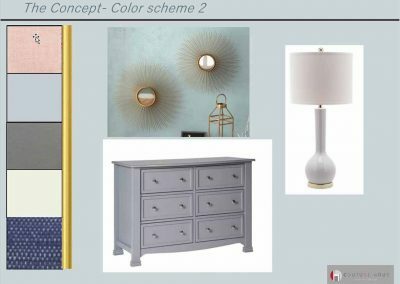 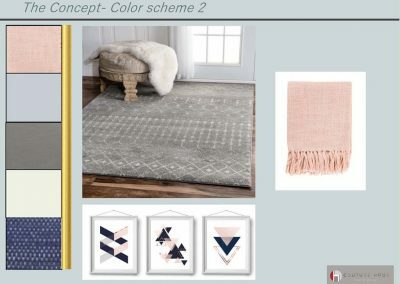 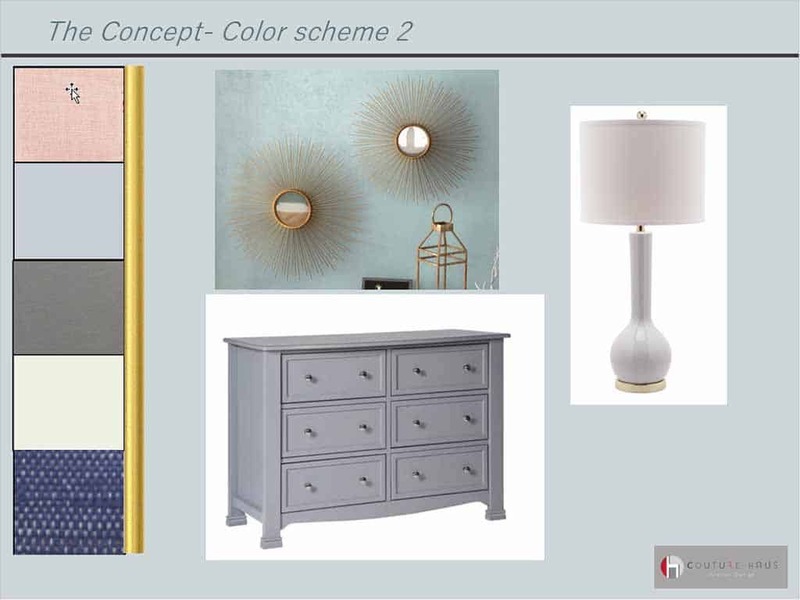 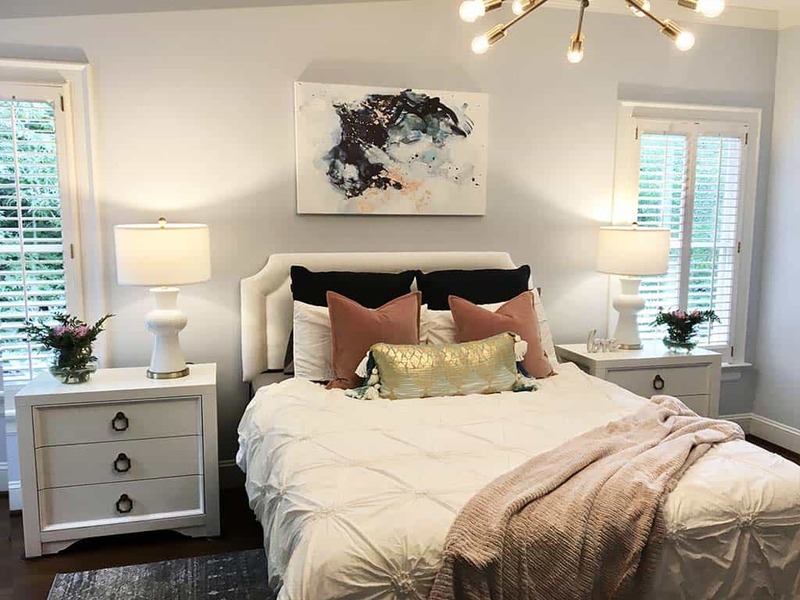 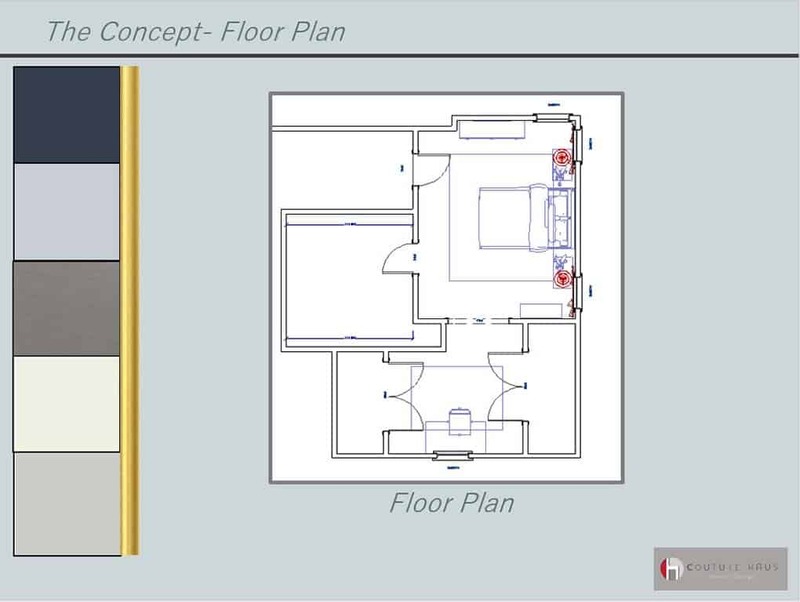 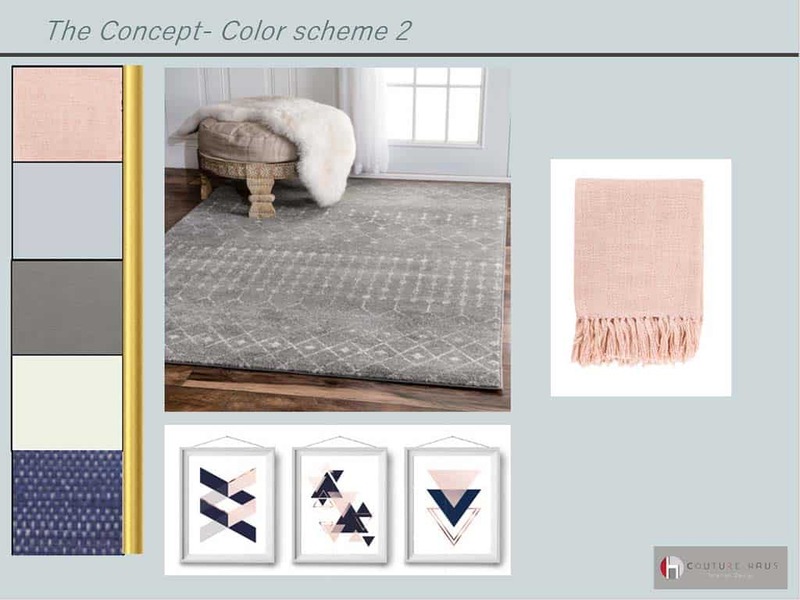 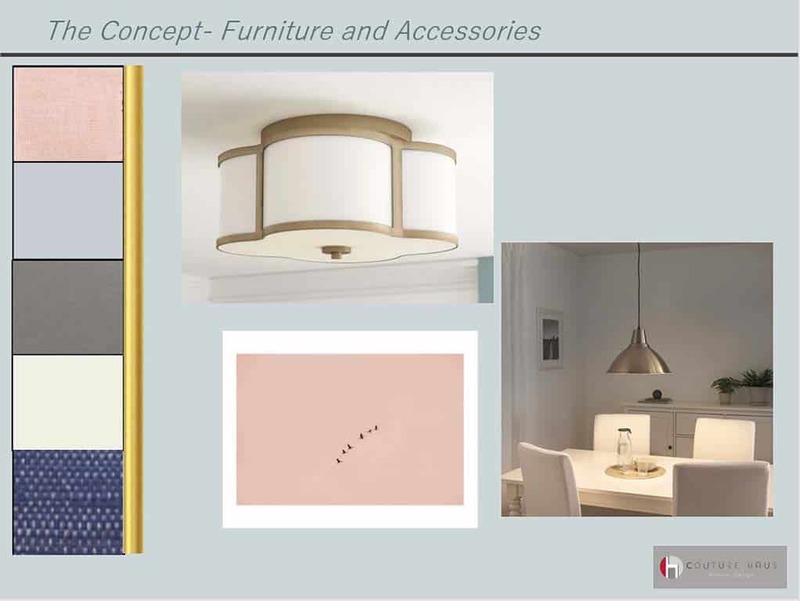 Space Planning and Furniture Placement : After an initial presentation, our client decided on the more subtle color scheme with grey walls, lots of white, some navy and blush pink as an accent color. 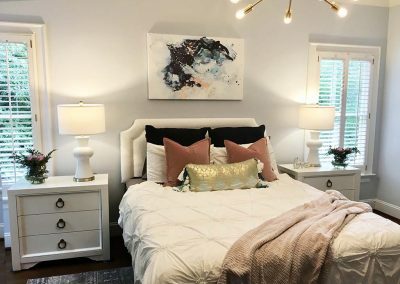 Now, it was matter of space planning and looking for the right pieces of furniture, lighting, art and pulling it all together! 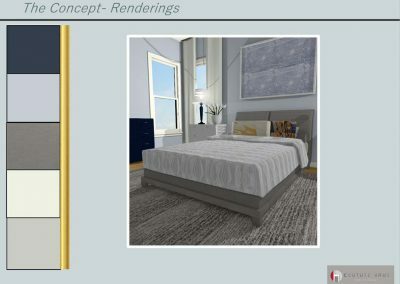 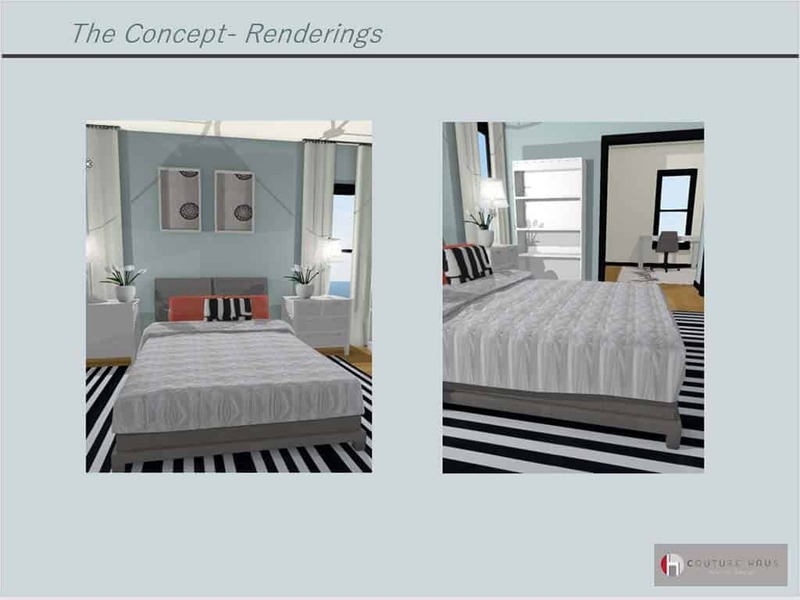 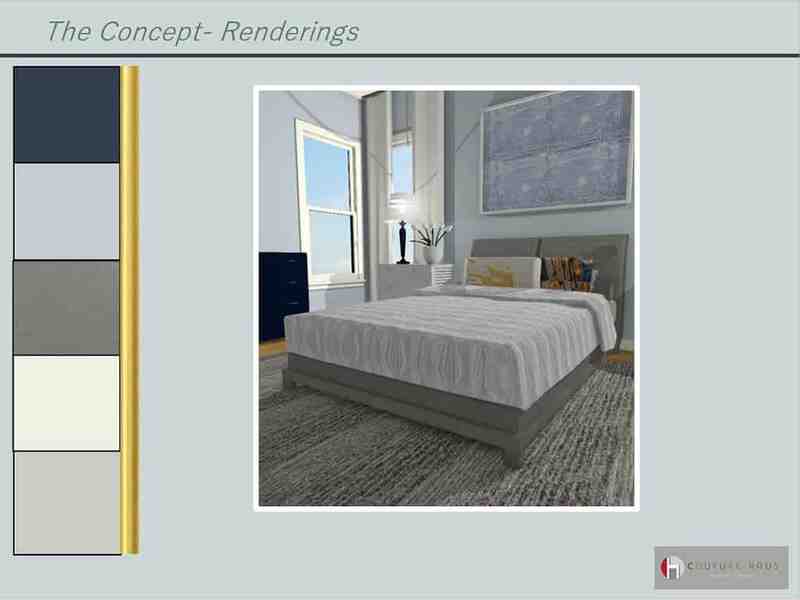 We worked on quick 3D renderings as a tool to help us with space planning and furniture layout. 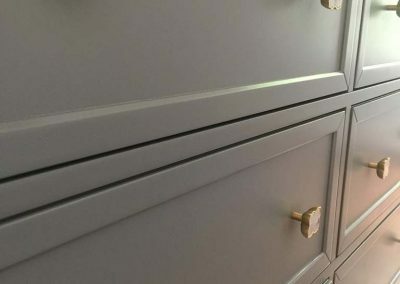 Furniture, Accessories and Rugs: The budget was set and the furniture needs prioritized with our client: a queen size bed, 2 side tables, a chest of drawers, a small bookshelf, a desk, an office chair, 2 rugs and table lamps. 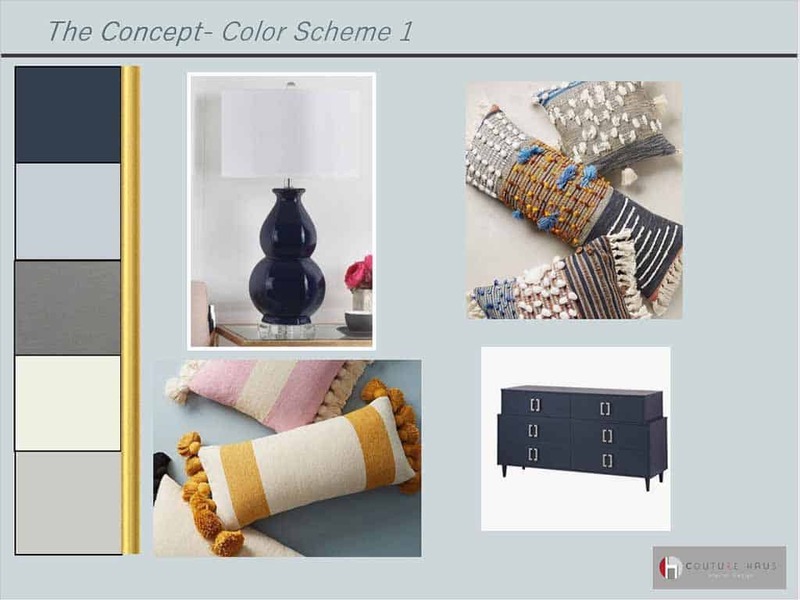 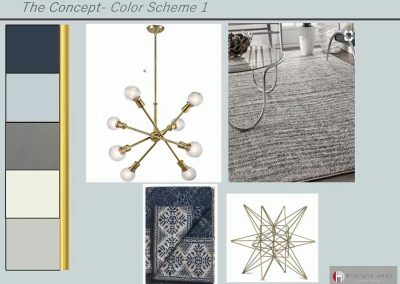 We re- worked our boards and suggested furniture, lighting, area rugs and accessories to achieve the look we wanted. 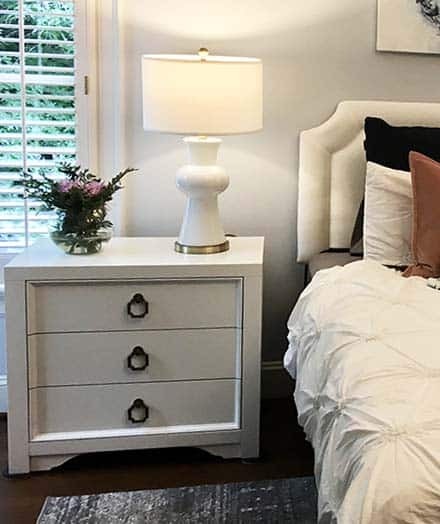 Outcome Achieved: This teenager room is now perfect —Functional, Modern & Soft. 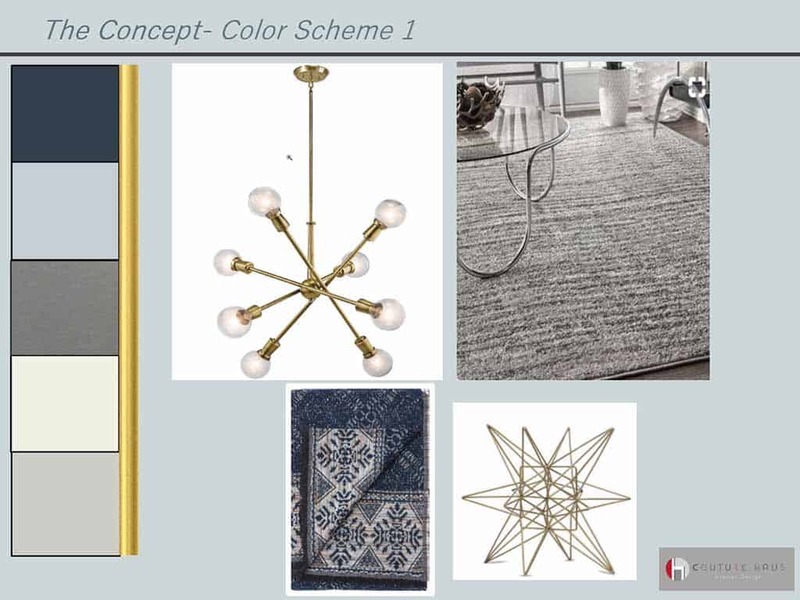 A textural grey carpet and soft grey paint color sets the tone for the space. 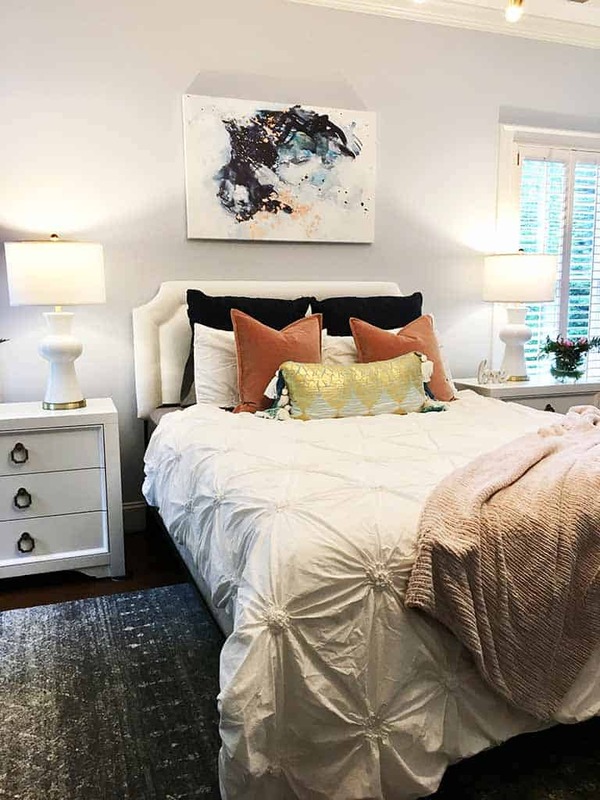 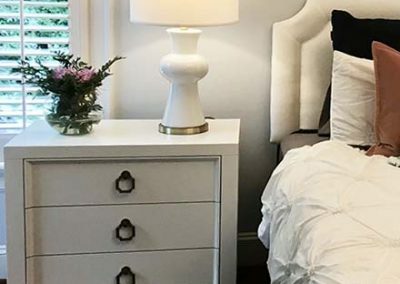 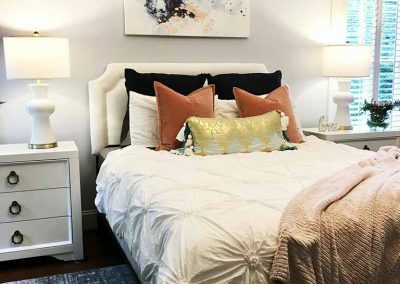 Two white night stands with lots of space for storage flank a white linen headboard. A chest of drawers in a darker grey tone complements the furniture in the space. 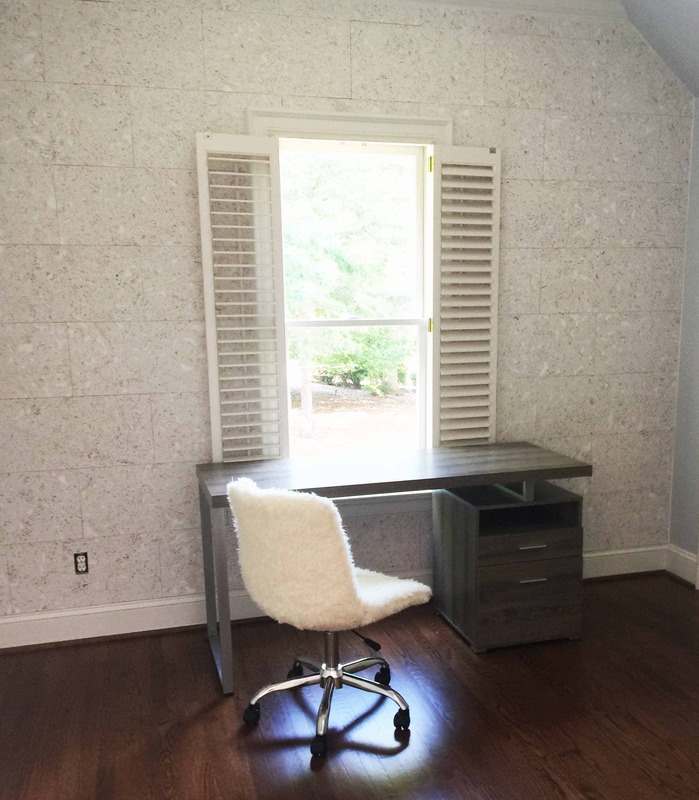 In the study area, special White Cork tiles were added to one wall to create an amazing wall-to-wall Pinning Surface. 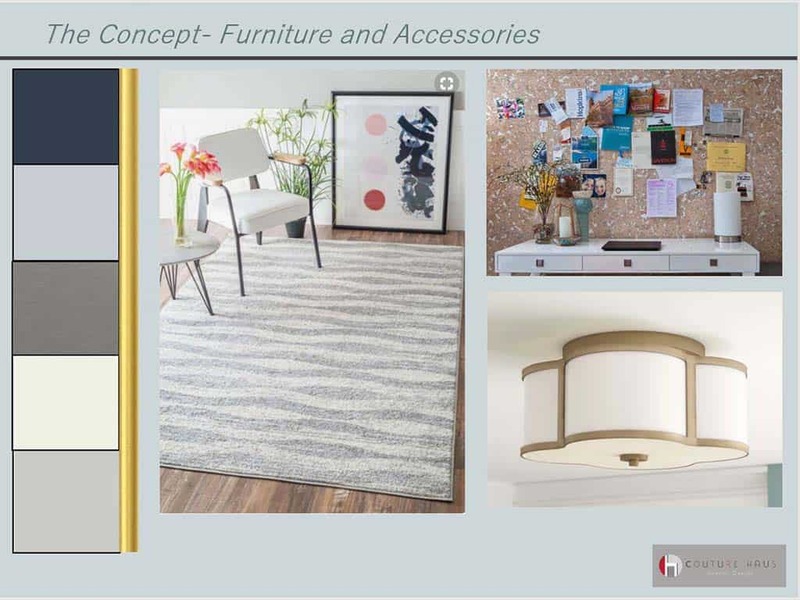 An over sized desk, a fluffy, comfortable desk chair and a textural white area rug make this area the perfect place to get those college essays done. 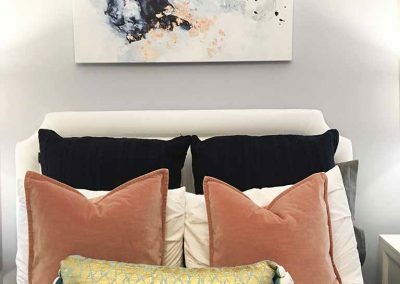 Splashes of blush pink and navy were added via the accessories and art. 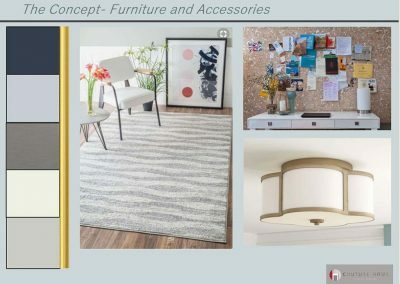 Do you have a project you need help with? 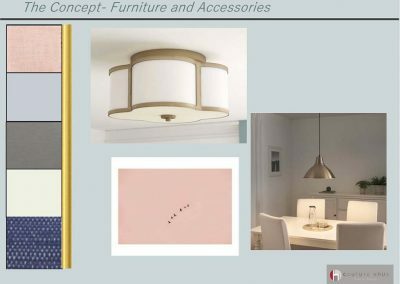 Call us- we would love to help !